Viscose Jacquard fabric is used as lining of the lehenga. The semi-stitched lehenga waist and hip can be customized from 32 to 38 and 34 to 40 inches respectively. 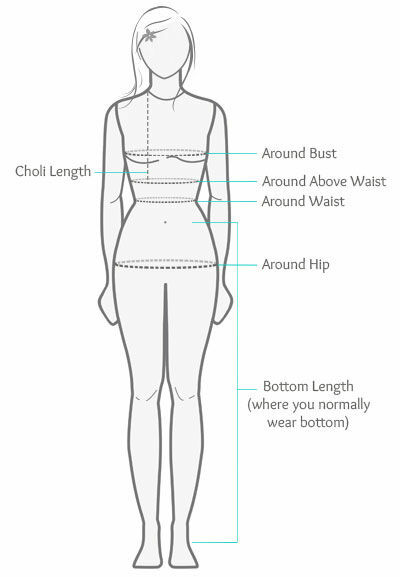 The lehenga length is 40 inches. Dangles shown in image is for photography purpose. (Slight variation in color, Jacquard Design, Applique and patch border work is possible).